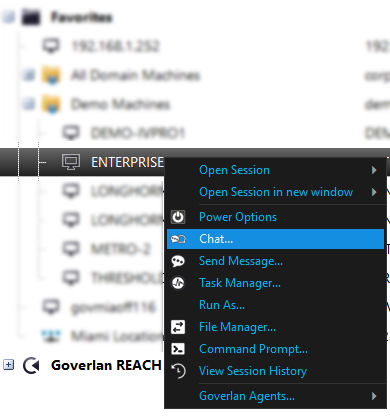 Goverlan Reach Remote Control software offers collaborative tools that allow operators to chat with a desktop or a laptop user, and other sysadmins or engineers. The Remote control operators can send Chat and Push notifications when they need more information to solve a technical issue. Initiate Chat sessions while in or out of a remote control session. Go to the Controls tab in the Command Bar and click the Chat button. Right click any computer in your Favorites list and select Chat. 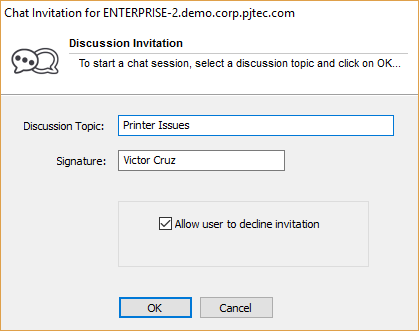 The operator can establish a discussion topic to define the issues that will be discussed. By default, the signature is the operators Active Directory display name. 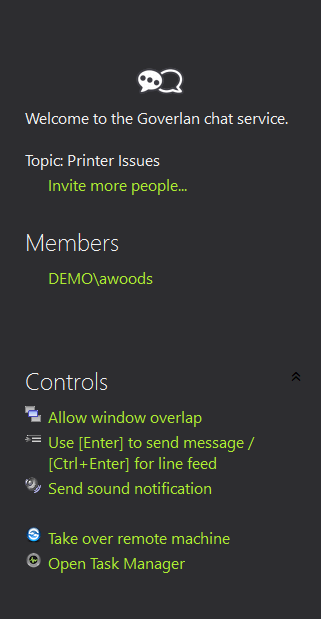 Invite More People– Use this option to invite other Goverlan Operators or even other users. Initiations are done by computer name. Members– Use the members list to remove users from the chat session. Use [Enter] to send a message / [Ctrl + Enter] for a line feed – Choose how you wish to send messages. Send sound notification– Send a sound notification to alert the chat members. 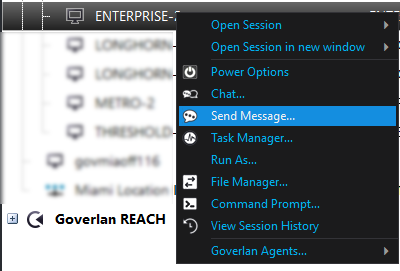 Open the Task Manager– Open the Goverlan Advanced Task Manager focused on the target user’s workstation. Create and save message templates for commonly used responses. Use push notifications to send text alerts to your users. Go to the Controls tab in the Command Bar and click the Send Message button. Right-click any computer in your Favorites list and select Send Message. The Popup Message window will allow you to add or remove recipients of the message. 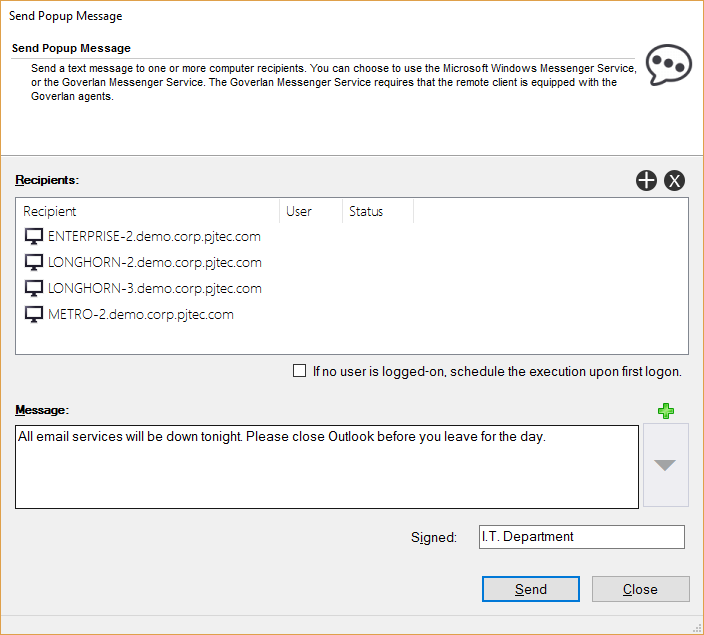 Create and save message templates for commonly used messages.